Get instant access to a lot of relevant information about Belleville, ON real estate, including property descriptions, virtual tours, maps and photos. 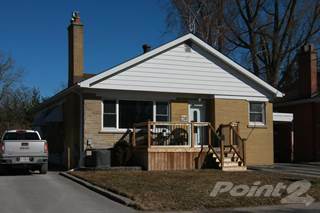 Point2 Homes gives you far more than a simple list of cheap houses for sale in Belleville, ON, as the search results pages also have a lot of information on Belleville, ON, right below the listings. Among the deep filtering functions on Point2 Homes, you can use Belleville, ON real estate prices, square footage, amenities and many other criteria to help narrow down your search. Price drops are another feature at your disposal, which can be especially useful when you’re looking for cheap houses or cheap condos. 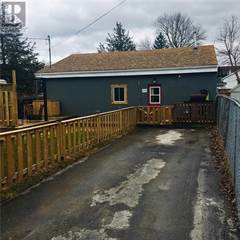 Use the map view to find Belleville, ON cheap homes for sale, based on city features or amenities that you may want close by. You can close in on a specific neighbourhood or area by simply drawing around it with the polygon or radius tools. Never miss an opportunity for a cheap home, by saving your searches. This way, you get new listings in your inbox, daily or every week, based on your preferences and your budget. If you’d like to get in touch with a professional, agents are displayed next to their listings, and they’re easy to contact through the online forms or directly by phone – all their contact information is displayed. 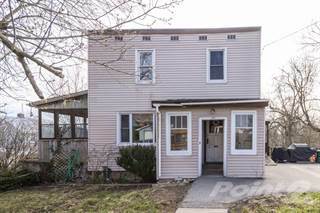 If you want more options in terms of professional advice, you can click the Tools tab and Find an Agent, and you’ll get a list of helpful and knowledgeable real estate agents in Belleville, ON. Visit the Point2 Homes blog and you can find up to date expert advice on many markets throughout Canada, regular market reports, neighbourhood scoops in cities throughout the provinces, best deals for cheap homes, and other useful recommendations. Located in the province of Ontario, Belleville, which translates to “beautiful village,” is a lovely city situated on the Bay of Quinte in the south of the province. The city sits 2 hours from Toronto and less than an hour from Kingston on the Quebec City-Windsor Corridor, and has a population of around 50,000 people. The city experiences four very distinct seasons which are moderated by Lake Ontario. Snowfall is generally limited in the winter due to the effect of the lake; however, winter temperatures are still low (regularly reaching the minuses), and summer temperatures reach the mid to high-20s with a pleasant lake breeze. Known for its strategic location on Lake Ontario, its natural beauty and growing economy, Belleville is a lovely place to live and it’s actually second on the list of “growth cities” in Canada. Belleville’s major industries include manufacturing and automotive, and many huge corporations have sites in the city including Proctor & Gamble, Kellogg’s, Sears, and Sprague Foods. Recent investment in the development of the city has also led to growth and a greater number of jobs. Belleville is very well connected and has great transport links to other cities as well as being located on the Toronto-Montreal main rail line. Belleville boasts a great quality of life with both a bustling economy and open green spaces, rolling landscapes, a beautiful waterfront, great shopping, and plenty of recreational activities. The city has over 500 acres of parks and is a haven for boating, fishing, golfing, as well as sailing, and the nearest ski hill is less than 30 minutes away. The population is made up primarily of those of European descent (90%) followed by Aboriginals (4.4%) and others of a visible minority, and English is spoken as mother tongue by 91% of the population. Belleville’s real estate market is potentially the best it’s ever been with houses on the up and demand outpacing supply. It is, however, still very affordable especially in comparison to nearby Toronto and the GTA, and it’s a great area to both live and invest in as the property market is so strong. There is a huge amount of confidence in the economy and many people are coming from cities like Toronto and Durham in search of more affordable real estate but without giving up a high standard of living. The average price for a single-family home is around $293,000, which is up from the previous year. It’s currently more favourable for sellers, with homes spending little time on the market; however, new construction and development is catering for the increased demand and Belleville is viewed as a very desirable place to live. There are many different types of neighbourhoods in Belleville, all of which offer a range of housing. Buyers can choose from rural countryside homes, stylish downtown condos, or newer homes in suburban communities. 2-bedroom apartments generally rent for around $900 per month. Belleville boasts a variety of affordable real estate options and its reasonable prices and strong economy make it a great place for first-time buyers as well as those looking to invest. West Belleville has a good selection of affordable homes under $150,000, especially older homes around the lower west area, and townhouses. There is a family-friendly feel especially in the area west of Sidney Street and south of Bridge Street W. There are also pockets of affordable, older homes (20/30 years old) south of Centennial High School. Hillcrest also offers a range of more affordable homes, as does Parkdale, which is very central and has great access to schools.